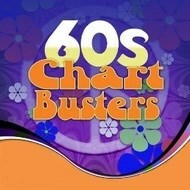 60s Chartbusters is here to bring you the best 60s music 24/7 to your computer, smart phone and radio! Nothing would ever be the same again, the 1960's was the period of time which changed everything. The sixties decade was the most incredibly exciting, influential, inventive and vibrant period of popular music in the 20th century.